There are not a lot of woman yodelers on this site… yet ! So this is a post about Carolina Cotton, the Yodeling Blonde Bombshell, who is a very fine yodeler, even better than Patsy Montana or Rosalie Allen say some ! Her songwriting and yodels are indeed very good, original and fresh. Carolina Cotton was born as Helen Hagstrom on October 20th, 1929 in a Sweedish-American family and was raised in a farm in Arkansas, before her family moved to San Francisco in 1937. As a little girl, she loved going to the movies to see westerns and listened to the radio, singing along the songs and even trying to yodel. 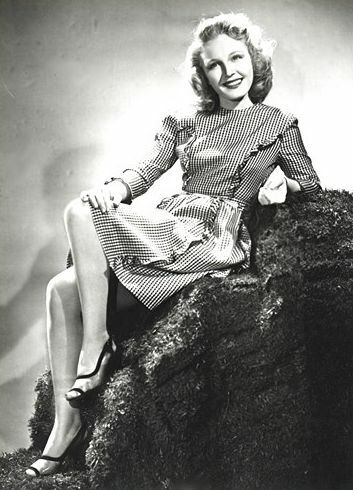 She soon began to sing and yodel in revues (and even appeared at the 1939 San Francisco World Fair) and relocated in 1944 to Hollywood where she played in movies and joined the Spade Cooley Orchestra. It was at that time “the” place for western swing. She had the opportunity to compose a lot of songs and tour with the bands of famous musicians like Tex Williams, Bob Wills or even the Sons of the Pioneers. She would say that she was their only “daughter”. By the mid-50’s, she got married and had children and performed less and less to concentrate on her family. She became a teacher and worked in a department store. She passed away on June 10th 1997, leaving her recordings and movies. My selection of songs is a bit arbitrary: songs with yodel in the title… I love to yodel and Mockingbird yodel were recorded in 1946 for the King label with Hank Penny and his band. The first song was written by Carolina, the second one by her former bandleader Dude Martin. 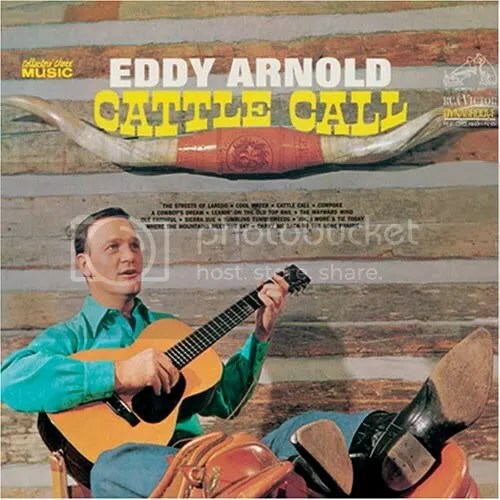 I love to yodel was used in at least four films: Apache Country where Gene Autry yodels her tune, Smoky River Serenade, where she played… herself, Texas Panhandle, with the Spade Cooley Band and I’m from Arkansas. Yodel mountain was a Snader Telescription, recorded with Bob Wills in 1951. Yodel, yodel, yodel was used in another Gene Autry film, Blue Canadian Rockies. The song came out in december 1953, at the moment Hank Williams died and didn’t have a lot of publicity because of that. And then also Nola, recorded in the same session as Yodel, yodel, yodel, because it is the showcase of her yodeling talent ! You have the illusion her yodel is echoing across the mountaintop: it is in fact due to the “sound-on-sound” technique, a technological breakthrough in times before multitracking. Her yodels are full of joy and humor, clear and crisp, and her lyrics are often about the relations between man and women, but told in a very clever way. And now some trivia: she said she preferred to yodel in her bare feet, so she “could get a good toe-hold” when she yodeled ! Link 4: Snader Telescription of Three miles South of Cash, Bob Wills and Carolina Cotton, with interesting links about the telescriptions.